Who wants to be a farmer ? मोदी के डेढ़ साल : अच्छे दिन या Ban दिन ? 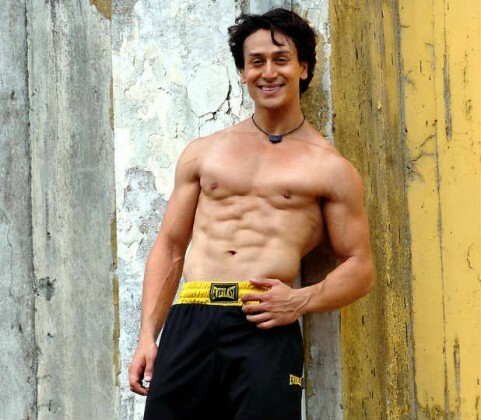 Tiger Shroff is an popular Indian Bollywood film industry actor and martial artist. Tiger real name is Jai Hemant Shroff. He is the son of Bollywood actor Jackie Shroff and Ayesha Dutt. He went under training of martial arts, parkour, gymming and focussed on his body for two years before the debut and so did all the stunts by himself and did not used a body double. He made his debut with Sajid Nadiadwala’s film “Heropanti” released in 2014, remake of Telugu film “Parugu” opposite Kriti Sanon. The popular actor will once again be seen working with producer Sajid Nadiadwala and director Sabbir Khan in their upcoming film tentatively titled “Baaghi” that schedule to be released on 2016. Tiger Shroff was born on 2 March 1990 to renowned Bollywood personality actor Jackie Shroff and Ayesha Dutt. He has one sister, Krishna, who is three years younger. 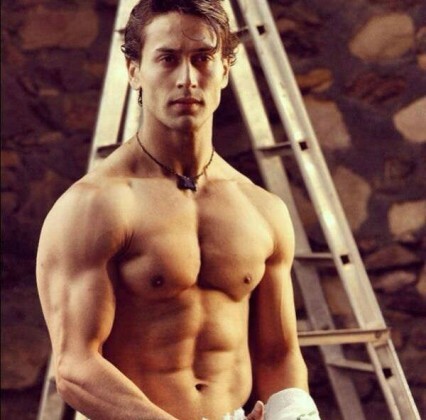 He chose his stage name to be ‘Tiger’, whereas his real name is Jai Hemant Shroff. He is a student of martial arts and has been practicing it from the age of four. Shroff never had a keen interest in acting instead always he wanted to become a football player but later was unable to see a better future in football; he decided to focus on his acting career. He has completed his education from American School of Bombay. His paternal grandparents were Kakubhai Shroff an Gujarati astrologer and maternal grandfather was Air Vice-Marshal, Ranjan Dutt, a Bengali and Rita Shroff an ethnic Turk. He is more close to his father than mother or sister. Tiger Shroff parents are very famous Bollywood personalities. He follows the trademarks of his mother Ayesha Dutt a lot. Shroof’s mother has also been a part of Bollywood films like Jis Desh Mein Ganga Rehta Hai, Boom and Grahan. Tiger is sensitive, diplomatic and a fitness freak who always loves to hit the gym. Tiger will be more than happy if he is able to do only half of what his father Jackie Shroff has achieved. His sister Krishna Shroff also carries the personality traits of her mother Ayesha Duta and father Jackie Shroff. In September 2009, Shroff was said to have declined the lead role in the remake of TV show Fauji. In January 2010, it was reported that Subhash Ghai would be launching Tiger Shroff in the remake of his father’s 1983 film Hero, though Shroff eventually rejected the offer. In May 2011, it was reported that Aamir Khan was also keen on signing Shroff, however, the news was eventually termed as false. At last In June 2012, Shroff was finally signed on by Sajid Nadiadwala to make his debut in Heropanti. Heropanti released on May 23, 2014 and proved to be a box office success, despite mixed reviews from critics. For his debut performance, Shroff garnered mainly mixed to positive reviews, with critics predominately praising his dancing skills and ability to perform stunts. About the relationship of Tiger Shroff If latest reports are to be believed then, Tiger Shroff is dating an aspiring actress Disha Patani. She was Miss Indore 2013’s first runner-up and was initially cast opposite him in his upcoming movie “Baaghi” that will hit theaters coming year. Tiger and Disha are trying to keep their relationship under wraps. They don’t make public appearances together. In a television interview Tiger Shroff said, “He is sensitive very diplomatic and a fitness freak. He was not good in studies and left school for his debut movie Heropanti”. “He is the biggest fan of superstar Hrithik Roshan, He says he loves his work ethic. He says that Hrithik has got fantastic physique plus he is a superb actor who dances superbly”, he added in his statement. This website is maintained by Yuvayana News Team. We are trying here to provide meaningful national and International news and updates related to Politics, Sports, Technology and Entertainment.